Hello! 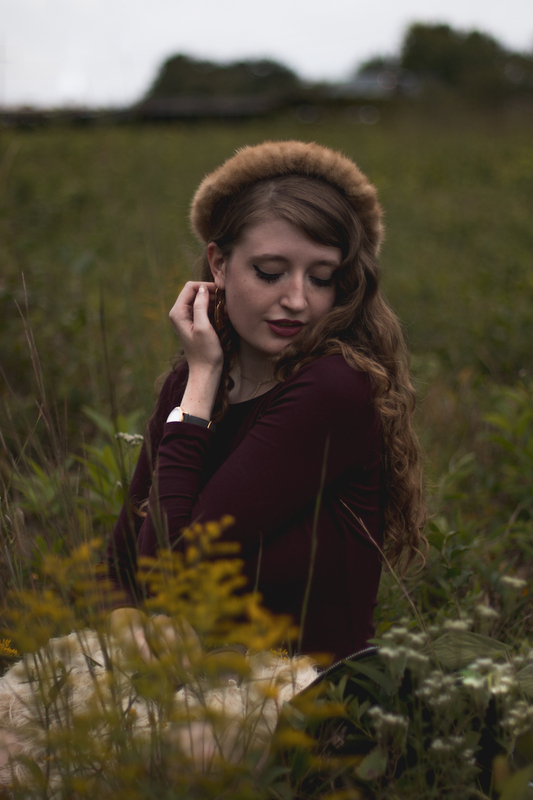 I scored this beautiful vintage fur beret at a yard sale last fall for about $5. 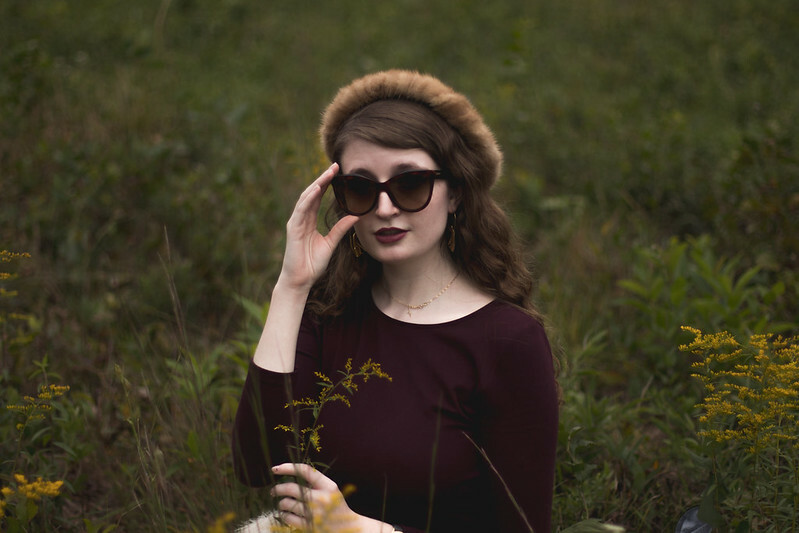 An authentic vintage fur hat from the forties for just $5? Talk about a major steal! I initially purchased it for my Etsy shop, RaddayVintage, but ended up keeping it as part of my personal wardrobe. I love the chic touch of Parisian flair that it adds to any outfit. I wanted to emphasize the sophisticated French charm of the beret for this look so I styled it with a pretty wine-colored dress and dreamy cream-colored jacket. Pretty golden accessories, a stylish watch and designer sunglasses perfected the look. Photos by Madeline Carmichael. You can browse more of her work on her Instagram here. I really love your outfit.The color is really fantastic.You looks really perfect with the outfit.I am a Designer students in garments and looks for the best online dress shop to enhance my designing ability.During design I have face one problem that selection of dress color.